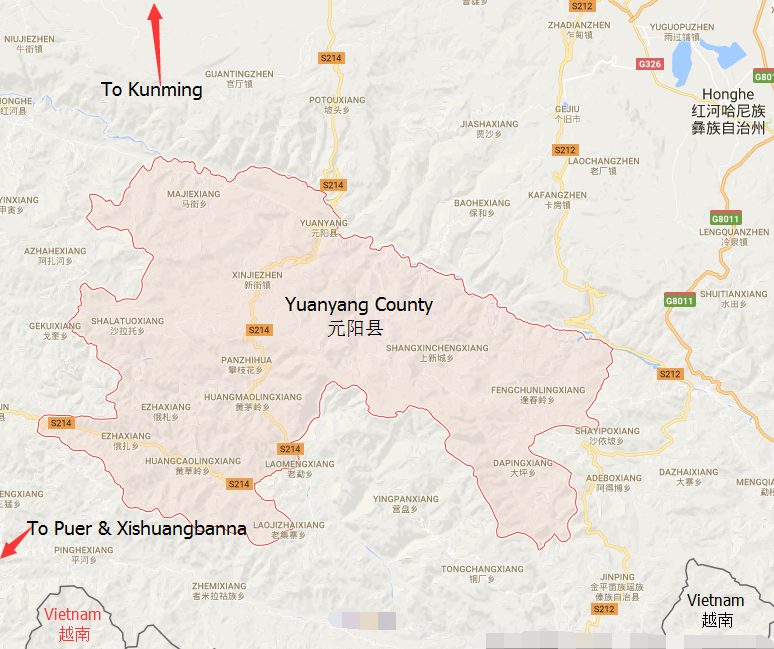 Yuanyang County (元阳县) is one of the counties under the administration of Honghe prefecture. 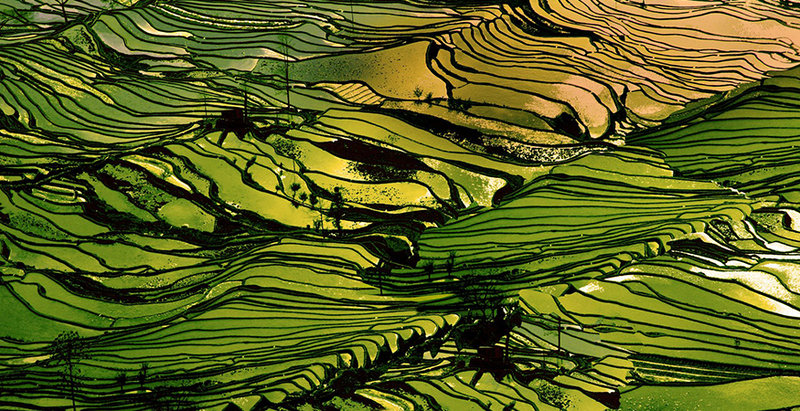 It is located in southeast of Yunnan province, China, along the Red River. 74 kilometers from east to west, 55 kilometers from north to south, it covers a total area of 2189.88 square kilometers. 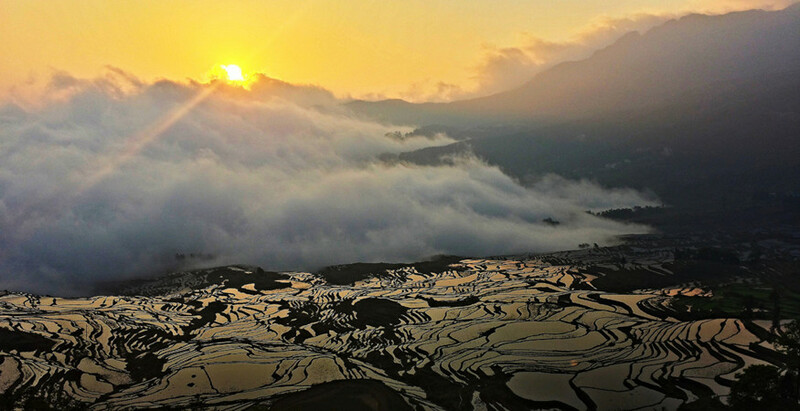 Yuanyang becomes well-known for its spectacular rice terrace. Part of the area in Yuanyang now owns the 45th World Heritage Site in China. Yuanyang Terrace Culture: Yuanyang terrace has a long history of more than 1300 years. 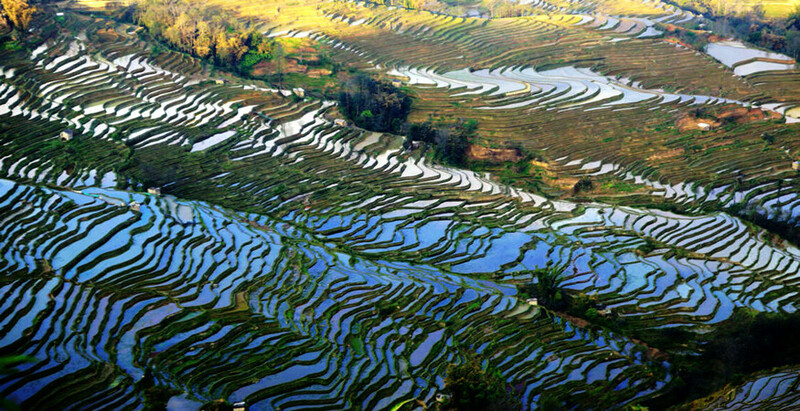 The Best-known terraces include Laohuzui(Tiger Mouth) Rice Terrace, Duoyishu Rice Terrace, Bada Rice Terrace and Longshuba Rice Terrace. 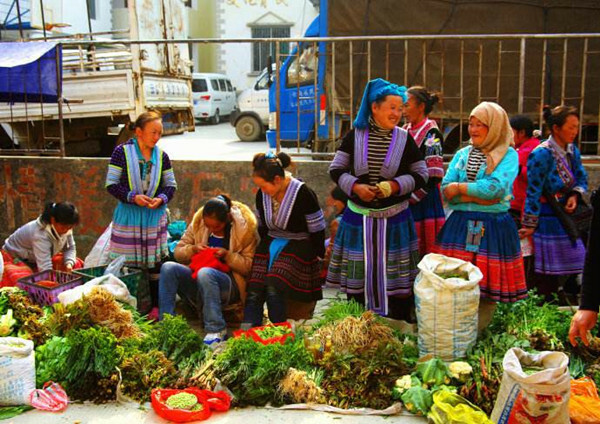 Ethnic groups and culture: There are Hani, Yi, Han, Dai, Miao, Yao, Zhuang, seven ethnic groups living in Yuanyang for generations. 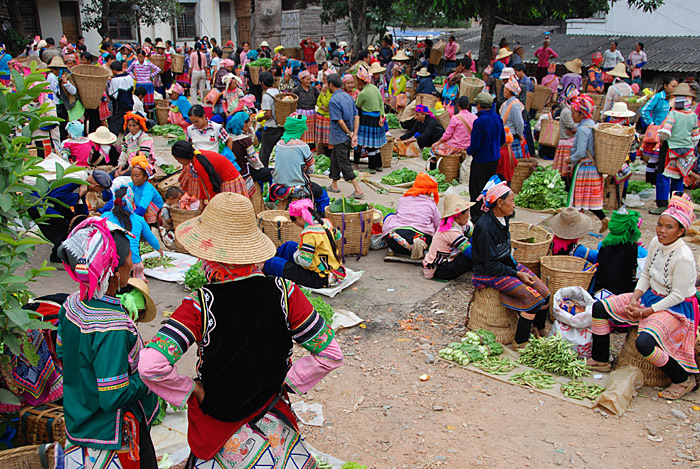 Among them, Hani people account for more than 50%. Hani people created a brilliant terrace culture. 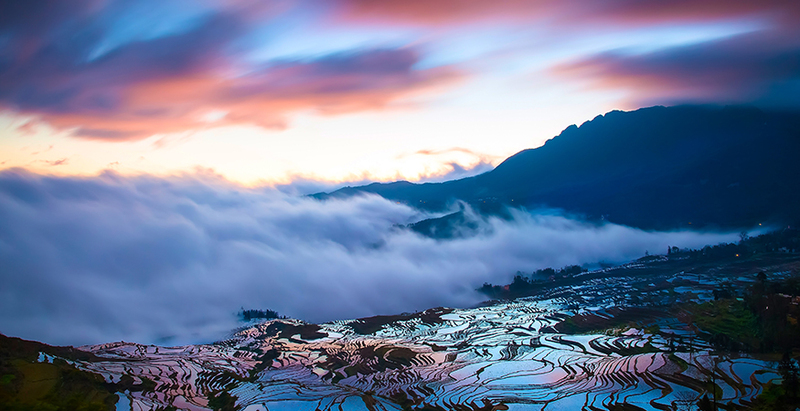 A Heaven for Photographers: Every year, a crowd of photographers are attracted by the spectacular view of Yuanyang terrace like sunrise, sunset, sea of cloud. 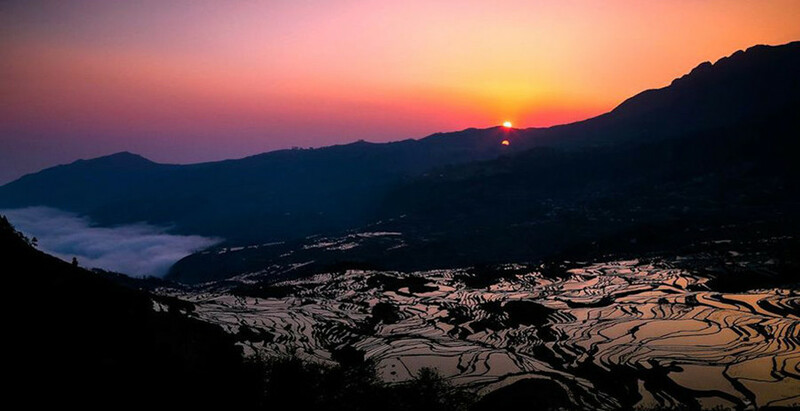 More and more people admire the charm of Yuanyang rice terrace. 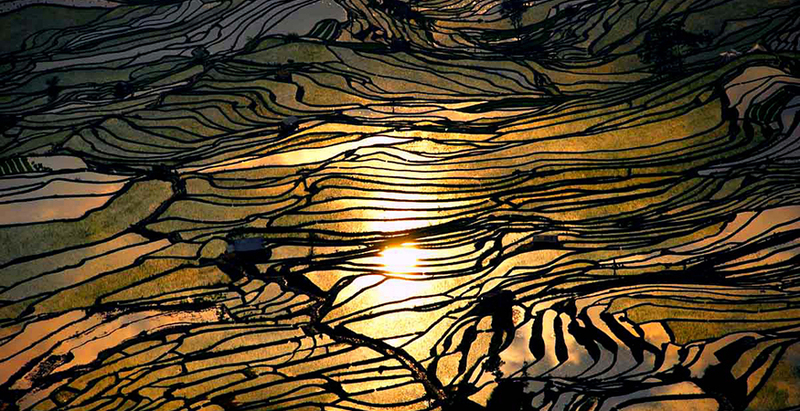 How to Plan a Honghe and Yuanyang Hani Rice Terraces Photography Tour?